The following response is written in regards to an October 22, 2012 Article by Courtney Humphries titled “Do you need a knee replacement?“. Please read that article first then come back for my reaction. I took away a few good things from this article. It’s nice to see MD’s finally giving their patients information from other sources besides their own subjective, and somewhat objective information. You see, surgeons love doing surgery, physical therapists love doing PT, etc. There are many surgeons out there that will ask “Why are you in my office if you don’t want surgery?” The author discusses shared decision making, which I think empowers the patient, and ALSO decreases the liability or negative feelings towards an MD if a complication arises. Providing “decision aides” to patients reduced the rate of total knee replacements 38% in a certain medical center in Seattle. I think health care costs in this country have run rampant, but I also think most of these extraneous costs are on the administrative sides, and on procedures and medications that don’t work. I do not feel that total knee replacements fit into any of these categories. Those involved in the studies this article cites are looking at difficult questions like who is appropriate to have these surgeries, and why has the rate of total knee replacements grown so much over the past 10 years? I unfortunately have to lend my opinion in regards to many other aspects of this article. In regards to the decreased rate of surgeries after patients were provided decision aides – One of the MD’s in the article says that even delaying surgery doesn’t often prevent these surgeries from happening. So in the meantime, these patients are becoming older, de-conditioned, and utilizing mediocre ( but somewhat less costly) conservative measures that only delay the process of then getting that expensive total knee replacement. The net total of this is more costly than if they just got the surgery, so when the article talks about reducing costs, I think there needs to be longer studies taking this 38% and seeing who then ends up getting the surgery in 5-10 years, when they are older, less independent, and have greater risks for complications such as infection or falls. If a patient is obese there needs to be stricter guidelines as to who can have surgery and who cannot. I wrote a research paper on this for a senior thesis in college. Here’s the report. There should be fewer elective surgeries done on this population as a whole due to the higher rate of complications. We as healthcare providers have to be able to come up with alternatives to help these patients lose weight so they can then SAFELY undergo these surgeries; as of right now research proves that having a total knee replacement rarely results in lost weight by the patient. Sorry for the tangent. My main problem with these recommendations are that they put off the surgery, or people are told that they should not have it. If someone is 65 and they want/need a total knee replacement the lifetime of the prosthesis needs to be considered as well. They vary depending on the materials used but they can range from 15-25 even some claim 30 years. This person runs a very small risk of needing a revision on their surgery considering the average lifespan in this country is about 78 and probably getting younger! So here is a person that puts off getting the surgery (and it is a big surgery, don’t get me wrong) for 5 years. Now they are 70 and have a decreased immune system, and are de-conditioned from not being able to go on their nightly walks that they loved so much 5 years ago, and as a result are overweight or obese. This person is now at a greater risk for infections (because of their age and their weight) not only of the skin/incision, but also of their lungs (Pneumonia). This is all based on many accessible articles included within that report I wrote a few years ago. The ability to overcome these complications of surgery is much better when we are younger, because of our immune systems, the availability of assistance, clearance of anesthesia from the body, and our levels of independence within the community. I know that I painted a pretty grim picture above, but it is not a very unlikely one. I have seen it more than I have seen people actually get the surgery when they initially considered it (and I actually did a clinical rotation in one of the hospitals cited within the article). In closing, this surgery is definitely “a one way door” and needs not be taken lightly. But delaying the surgery holds its own risks, and these FUTURE risks need to also be discussed with your doctor. I totally agree with you Mike that delaying surgery can be devastating in some cases. However, in my practice I did came across a patient who had anterior approach spinal surgery and the pre-rehab potential were significantly a lot better than the post-rehab potential. However, I find your post extremely useful on considering the age of the patient when he or she is going for surgery. Older the patient, less are the chances for accurate rehab and in turn low recovery rates. I would love to know how do you educate patients and motivate them to go for surgery? Sweta thank you for reading. I do not try to motivate my patients towards surgery at any point. I am definitely someone who wants to try conservative measures first; however, if a TKA or any other surgery is inevitable and the writing is on the wall, I do not think that delaying the surgery by having people stop doing what they love is a good way of managing the situation. The best thing I can do is educate my patients about the risks and rewards, and explain the procedures to the best of my ability and arm them with the best questions to ask their surgeon. 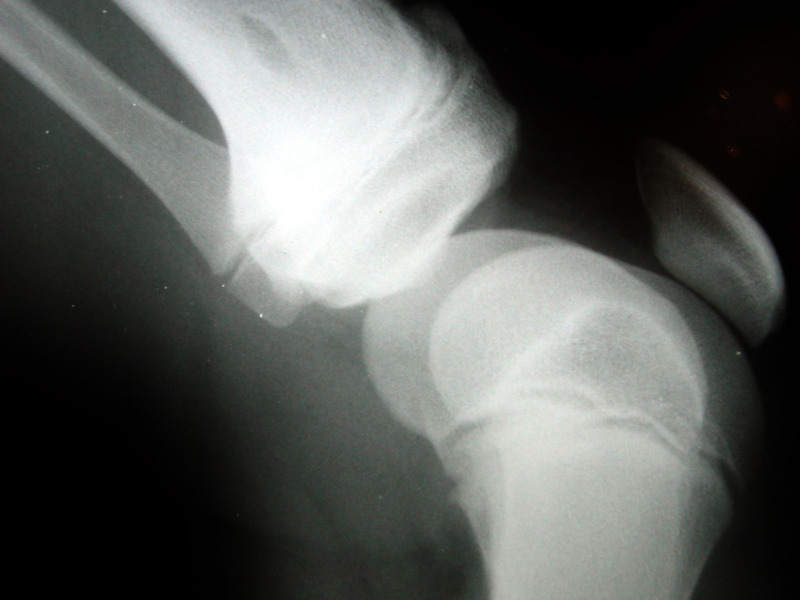 An recent example of this is a mid 70’s patient with 20+ year history of L knee pain with severe osteoarthritis. MD was not partial to surgery or not, and patient did not know what she wanted. She was very anxious about having the surgery but did not want to continue to live in 6/10 pain on a daily basis that did not allow her to perform all ADLs that she wanted. I put her in contact with other patients that had the surgery and within a week she came to her own conclusions about whether or not she wanted the surgery. I think that the best we can do is educate and let the patients decide for themselves if they want surgery. If we can do our jobs and reduce pain and increase function there should be no need for surgery. If even at that point a PT is pushing for people to get surgery, they need to revisit their code of ethics. I hope this helps explain how I help patients determine when the right time for any surgery is for themselves. The best I can be is transparent and honest about outcomes and how we can get to the best ones possible, and what would lead to worse ones. thank you lee! thank you as always for forwarding this article to me. Of all people my mom sent it over to me as well considering her own 85 year old mother’s recent knee replacements.